The south end of the Mission Ridge Trail. the return of the sun. It's been a frosty week but the sun came back this weekend and rumour has it temperatures will reach 19 C on Easter weekend! my friend and writing buddy Anne Louise who despite being so very busy has been able to get together two weeks running. She's a wise woman with great advice on writing and life's little challenges. Max and Pitou who force me to get out of the house and into the fresh air every day. 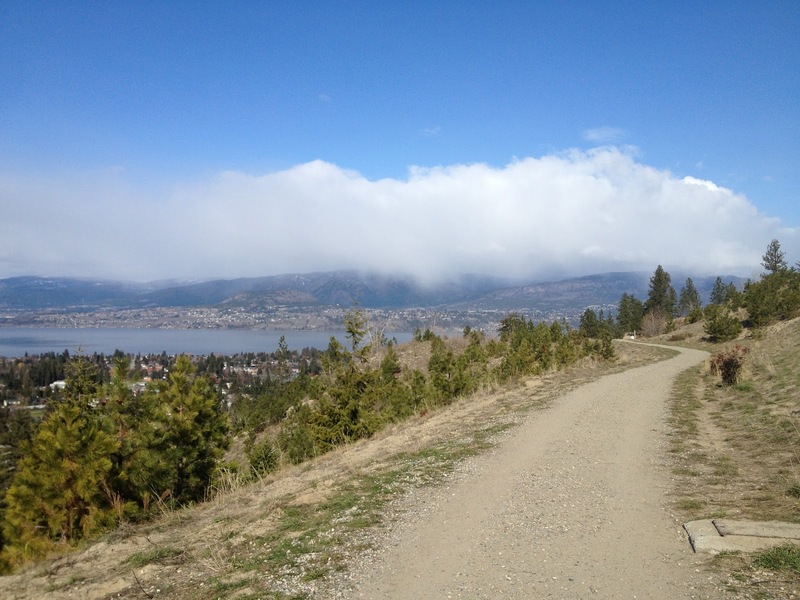 the variety of places in Kelowna to take the dogs for a hike or a run off leash. Last week we walked out to Paul's Tomb, tramped around Mission Creek Park off Springfield, hiked up to Mission Ridge a couple of times, went to Cedar Creek Dog Park and hubby took them to Mission Dog Park near the CNC on the weekend. that I managed to stop procrastinating and get things rolling on my sewing projects. I must admit I was only a little disappointed when I found I couldn't sew a couple of my pillows without a zipper foot which seems to have stayed in Whitby. Off to the sewing machine shop this morning! my handy and handsome hubby who found some time this weekend to install some curtain rods, do some touch up painting and finish installing the new vanity in the guest bathroom. the fact that my father-in-law and my son will be here for Easter. 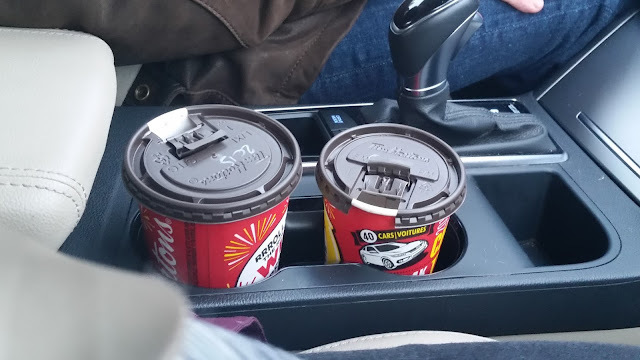 Last year was the first Easter in 27 years that we didn't hide Easter eggs (which makes it really crazy that we found some in February this year). Looking forward to reviving some Easter traditions.